If nothing else, 2018 was the year that made cannabis’s steady acceptance into mainstream culture crystal-clear, with corporate behemoths from Coca-Cola (NYSE:KO) to Novartis (SWX:NOVN) looking for ways to capitalise on the blossoming industry. The global legal weed market is expected to be worth US$146.4 billion by 2025, according to Grand View Research. Moving towards (or already in the throes of) the legalisation of recreational pot use, countries like Canada and the US sit at the centre of that industry. And where Australia’s legislative landscape has a fair way to go to catch up, there are plenty of opportunities at hand for Australian investors with an eye on the green stuff. New Frontier Data suggests the total current cannabis market in Australia (both legal and illegal) is worth between $4.6 billion and $6.3 billion, with an estimated two million users who consume about 391,903kg of pot a year. Last year, Australia legalised exports of medicinal cannabis, and there are now more than 20 pot-stocks listed on the ASX. Here are five ASX pot-stocks that should be on your radar as 2019 turns a new leaf. Creso is a cannabis innovator that’s tapping into the sweeping legislative changes across the world to improve the lives of both humans and animals. Bringing pharmaceutical expertise and methodological rigor to the nascent cannabis industry, Creso’s diverse repertoire spans a range of fast-growing market segments, including pet health, edibles and craft beer. It develops cannabis and hemp derived therapeutic, nutraceutical, and lifestyle products with wide patient and consumer reach. Creso has a significant edge as the first company to import medical cannabis into Australia. It’s also the only ASX-listed company that fully owns a Canadian cannabis facility — something that gives CPH a clear edge in light of that recently legalised recreational market. CPH also has plans to list on the TSX to deepen this connection further. In a recent move that played nicely into the company’s global expansion strategy, Creso recently partnered up with Medleaf, a Kiwi medicinal cannabis company, to build a comprehensive medicinal cannabis business, following the passage of New Zealand’s Misuse of Drugs (Medicinal Cannabis) Amendment Act. This law, which came into play late last year, introduces several key changes for local regulations, including allowing terminally ill patients to use the drug. Rules for wider use are expected to be formalised over the next two years. Not long before clinching this deal, Creso also revealed its expansion into Sri Lanka via a partnership with Ceyoka Health, one of Sri Lanka’s top pharmaceutical distributors. The pair are already well advanced in the process of seeking the relevant regulatory acceptance to sell Creso’s cannAFFORD® 50 lozenge, which is designed to support the management of chronic pain, to the local market as a therapeutic product via approved providers. Another key location CPH is able to leverage is Israel, where a new law was recently introduced to allow for the export of medicinal cannabis, as well as a new regulatory structure to approve foreign ownership of Israeli medicinal cannabis operations. CPH is in a salient position to immediately benefit from these changes — specifically, via its 74% stake in a JV with Israeli grower, Cohen Propagation Nurseries. Creso estimates that the JV could produce up to 2,500 kg of cannabis each year once its facilities are at full capacity, with the potential to sell domestically in Israel — and, now, also globally. Investors have clearly taken in CPH’s ability to tap a crop of international cannabis markets. Creso is up 50% since December 18, currently at 52 cents. Roots is developing and commercialising disruptive, modular, cutting-edge technologies to address critical agricultural problems, including plant climate management and the shortage of water for irrigation. Its two patent-protected technologies, Root Zone Temperature Optimisation (RZTO) and Irrigation by Condensation (IBC), present the farming community with opportunities for considerable cost and energy savings. ROO’s disruptive RZTO technology optimises plant physiology for increased growth, productivity and quality by stabilising the plant’s root zone temperature. Importantly, ROO is the only company in the world with commercially viable root zone cooling technology in its arsenal — a distinct point of difference for the Israel-born innovator. Last year, Roots took its RZTO technology to the global medicinal cannabis space — one that’s projected to hit US$55.8 billion in the next seven years — and it’s since wasted no time getting its hands dirty, clinching a series of deftly engineered deals in a short space of time. Towards the end of 2018, ROO cracked its first RZTO sale in the medical marijuana market, following on directly on from promising interim proof-of-concept cooling results on cannabis planted in greenhouses. Then, in December, ROO also unveiled outstanding interim results for its world-first open field RZTO heating cannabis pilot, showing an increase in plant weight of up to 272%. Cannabis roots were heated to stabilise root temperatures at optimal degrees, despite air temperatures dropping below zero degrees centigrade. Another ag-tech play, Roto-Gro is hoping to redefine the future of agriculture through innovation in cannabis technology. Its mission: to generate socially responsible, sustainable and profitable revenue by growing cannabis and perishable foods using its cutting-edge tech solutions, while maintaining the environment impact of traditional farming. RGI takes a holistic approach, providing streamlined solutions from concept to harvest, incorporating both design and growing expertise, with a strategic focus on the buzzing US and Canadian weed markets. RotoGro has innovated a patented rotational hydroponic vertical farming system for medical cannabis producers, distributors and resellers. 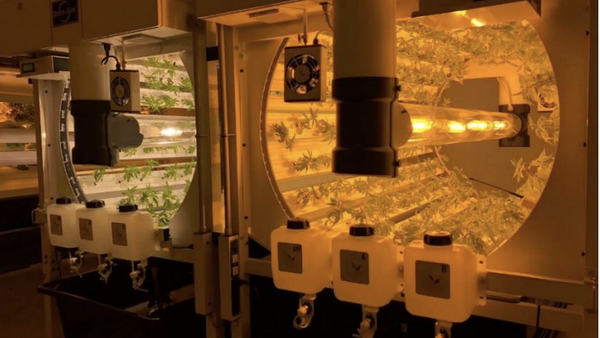 The Hydroponic Garden System produces uniform, high-quality plants indoors, using less space and energy than a conventional hydroponic environment, and at lower cost. This technology can allow for up to nine times the surface area for growing compared to traditional growing techniques, while allowing for 5.5 harvests per year. As it announced in December, fellow pot-stock Affinity Energy and Health (ASX:AEB) — one of the latest medical cannabis plays to receive approval to establish a medicinal cannabis cultivation and manufacturing facility in Malta — has elected to use RGI’s patented hydroponic technology. As a member of the European Union, Malta provides access to more than 500 million people who live in the 23 member countries that have legalised medical cannabis. RGI’s technology can achieve these kinds of results through the use of stackable, rotating growing beds that are expected to produce 3000kg of bud per annum once all units are installed. CannPal is another pot-stock that has been quick to recognise the substantial health benefits cannabis-based medicines can have on animals. CannPal has identified an opportunity to develop first-in-class, cannabis-based medicines for cats, dogs and horses that have already shown safety and efficacy in humans and rodent studies. It’s hoping to establish a new standard of care in animal health by providing veterinarians with regulatory approved, cannabinoid-based pharmaceuticals, and providing pet owners with better access to standardised, dosage controlled and high-quality cannabinoid-derived products to treat companion animals in a safe, ethical way. 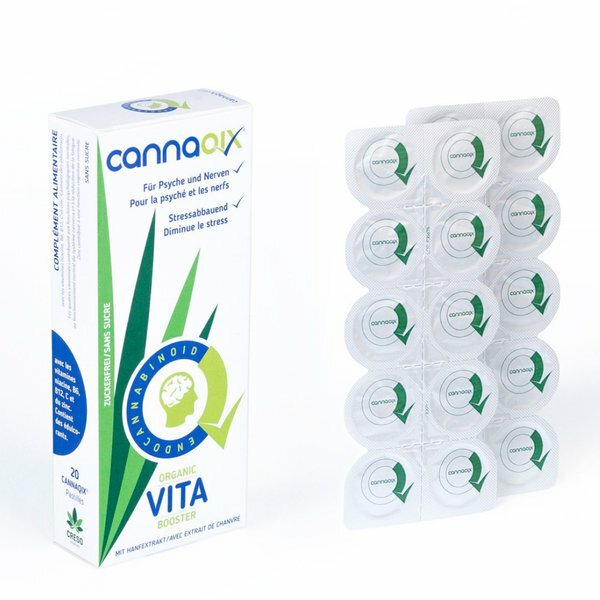 Its lead drug candidate, CPAT-01D, is an innovative cannabis-derived pain control for dogs. The drug is at clinical stage, with Phase 1B of a Pharmacokinetic and Safety Study now underway following the success of Phase 1A, which showed excellent safety and tolerability. CannPal is also collaborating with the University of Melbourne to research epilepsy treatment for dogs. The companion animal drug market is a sizeable one that's rapidly growing, with an estimated size of approximately US$12 billion for dogs and cats alone. In the US and Europe, which accounts for over three-quarters of the global market, there are over 150 million dogs and over 160 million cats. Driving this market is an increase in pet ownership levels, increased pet lifespans and higher prevalence of ailments such as arthritis, and thus a greater need for medications. On top of that, pet industry spending has been steadily increasing and is expected to reach US$96 billion by 2020. One of the fastest growing segments in the cannabis industry is the vape market, which in turn is helping to create new markets for legalised weed. According to a report by BIS Research, the global recreational and medicinal vapor market was estimated at US$11.43 billion in 2016 and is expected to grow over US$86.43 billion by 2025. One company that’s taking full advantage of this is medical diagnostic and monitoring technology developer, Lifespot Health, which is in the throes of commercialising Seng-Vitalä — a ‘smart’ vaporiser that’s embedded with certified software infrastructure. The company has a first-to-market advantage with the integrated Seng-Vital Cannamed® Bluetooth cannabis vaporising system, which provides a straight-forward, secure and self-controlled method to deliver medicines. Lifespot subsidiary, Seng Vital, developed the vaporiser, which is activated by a patient’s fingerprint. It can then be used to inhale cannabis from oils or herbs. The monitoring and collection software, in turn, gathers and collates data and readings from the vaporiser, which patients and their authorised physicians can then review and evaluate. This integrated system isn’t restricted to vaping – it can also input data from edibles and drinks, which opens Lifespot to a number of significant global pot opportunities. For more ASX-listed pot-stocks, check out our definitive guide.